How do you make your laptop or notebook last? Well I don't really know. After just THREE years of using it, my Toshiba Satellite laptop has or might reach the heavens anytime soon. It was quite an expensive model at that time for the specs and all. But it couldn't keep it with the pase. It might be due to my usage or the enviroment (Ok I'm trying to avoid being blamed..LOL) . So now I'm currently laptop less in my life. Before that I was thinking of getting a broadband installed in my place but since I don't have a laptop, I don't see the need for it. My daily blog updating, Facebooking and Twitting have all been pun on halt. Only weekends I'm able to go online. My new revised target: To get a new lappy a.k.a. 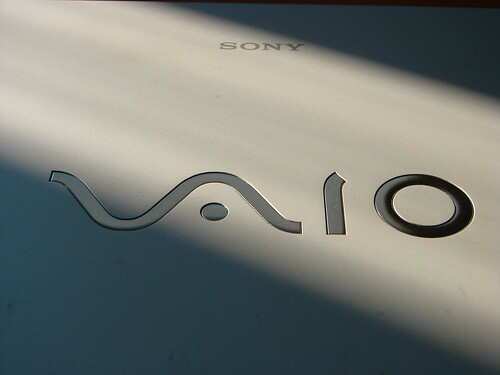 Vaio & a broadband connection.